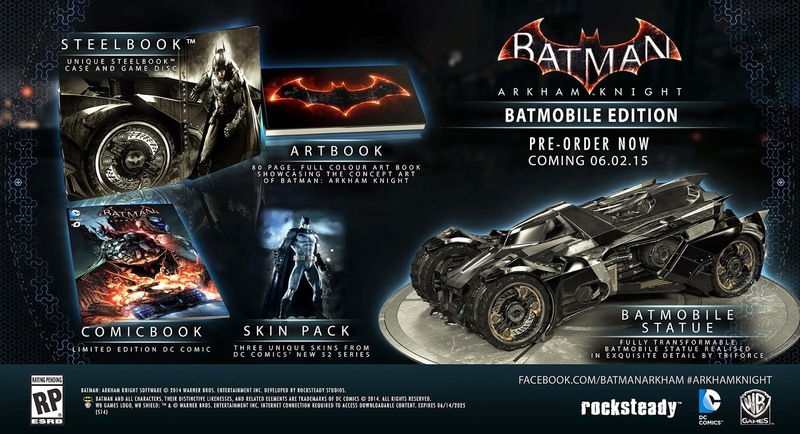 The highly anticipated next-gen Batman game finally gets a release date. 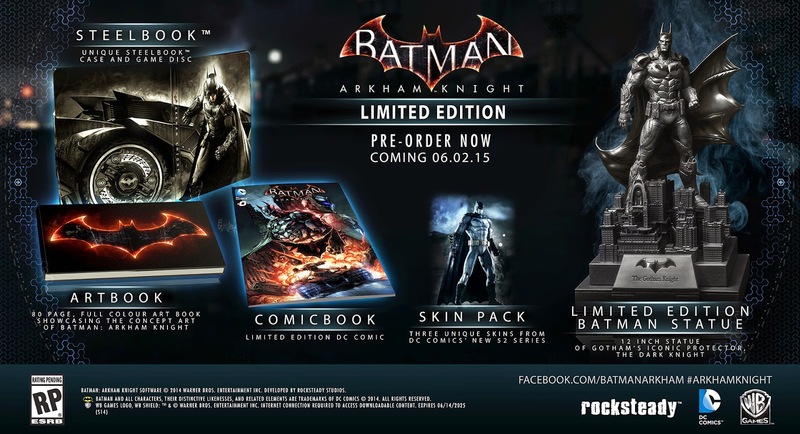 Batman: Arkham Knight will hit the Playstation 4, Xbox One, and PC on June 2, 2015. There will also be two limited editions available, one for $99.99 featuring a Batman statue, and the Batmobile statue edition for $199.